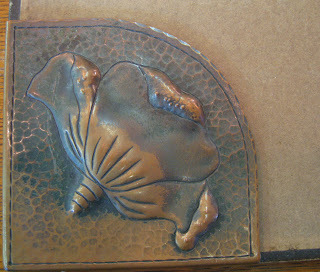 Decorative metalwork from the Early 20th Century Arts and Craft period has always been an inspiration to me. 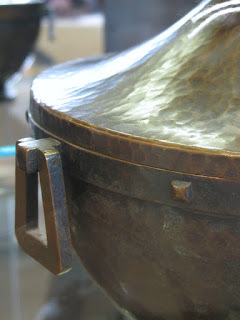 I was intrigued as a child by a flat copper dish that was in our home. It had a hammered design on the border and was obviously handmade . 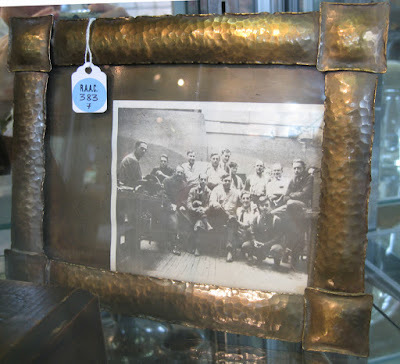 The story is that my grandfather had made it in school shop class circa 1911. 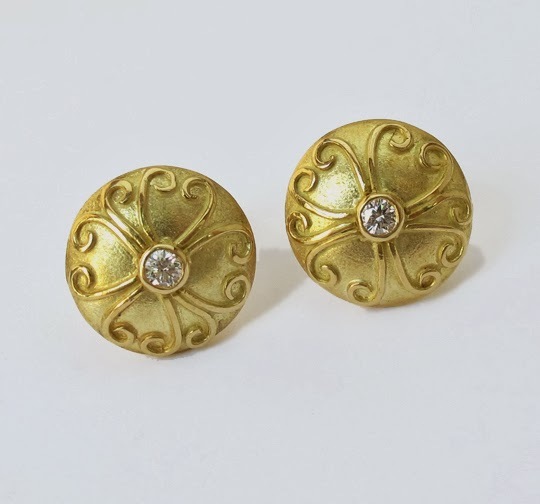 I know now that it was a design and object typical of the era. I loved the color of the old copper and I coveted this object by carrying it with me to my college dorm room and various apartments over the years. 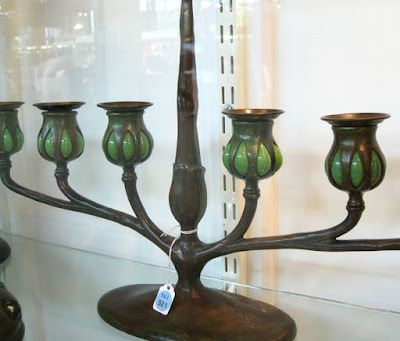 I also remember visiting numerous antique shops in upstate NY, where I attended college in the 70's, that were crammed with stuff from this period—of course I had no money! This was before Arts and Craft style and brands, like Sickley and Roycroft, had renewed popularity and prices escalated. 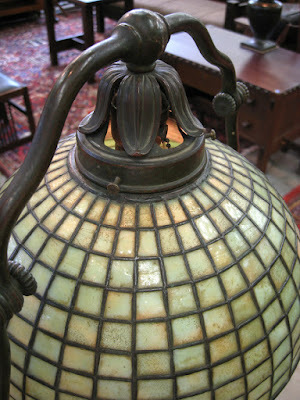 Maybe what captures my interest is the handmade aura that the objects of this period posses. 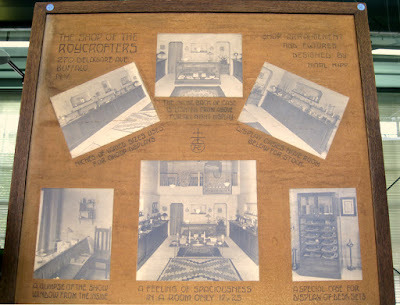 Roycroft employed 500 crafters in East Aurora, New York at its peak. Along with other handcrafts like bookbinding, the community made decorative metal objects from copper that fit the style of oak furniture of the day. 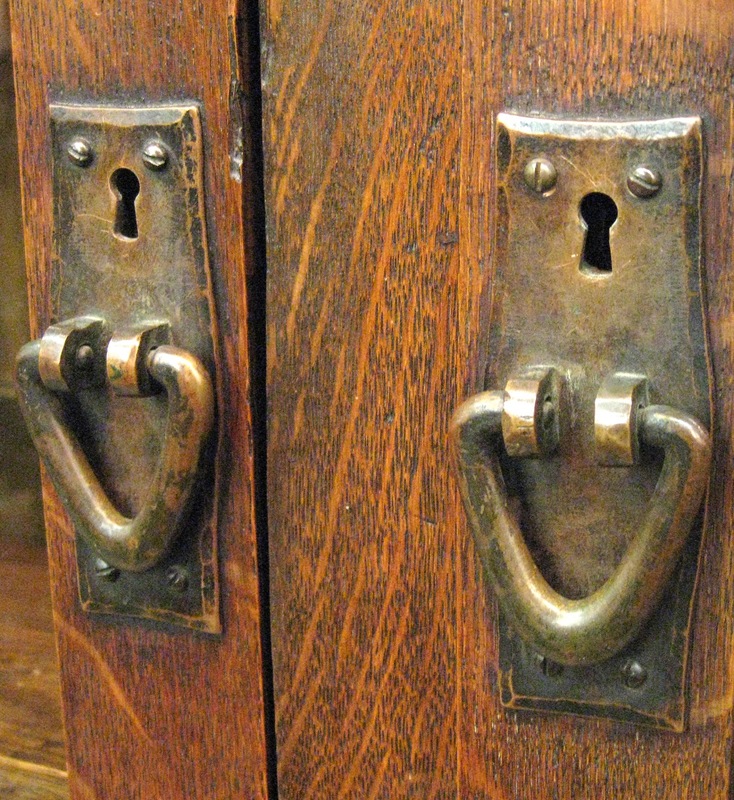 The Stickley brothers produced hand made furniture in the Mission Style from quarter sawn oak and visible joinery, which incorporated hammered textured hardware from bronze. 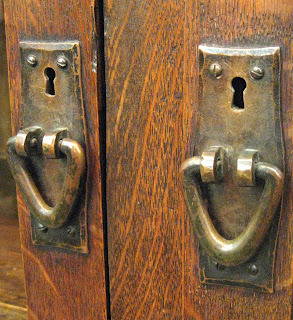 The common elements of metalwork of this style that I find appealing are the simple somewhat organic designs and the use of texture. 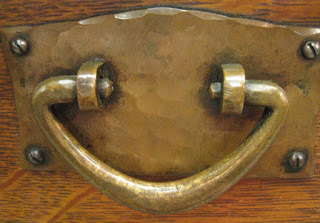 Rivets are used to join elements together. The touch of the artist’s hand evidenced by hammer marks and use of other chasing tools make this work unique. The objects were meant to decorate and be useful. Large bowls and vessels, candle sticks, lamps, book ends and desk sets were common products. The objects pictured are from various makers to be sold by Rago Auctions in Lambertville, New Jersey. This established business specializes in this period. I took the pictures onsite with permission from staff. Tiffany glass lamps and decorative objects of this period have always been popular and I believe will always be collected.